• Forged composite crown saves weight, and lowers spin, to maximize clubhead speed and distance. • Patented Gravity Core for an adjustable Center of Gravity. Weight positioned low provides a higher trajectory, while the weight positioned upward provides a more boring trajectory. •MOTO Technology the structure to save weight and allow an ultra thin face that maintains stability while elevating smash factor. • Maximum Adjustability from 7 gram and 1 gram weight ports on the heel and toe. This allows you to set the driver to neutral, draw or fade bias. Also, an OptiFit hosel provides 8 different loft and lie angle configurations. 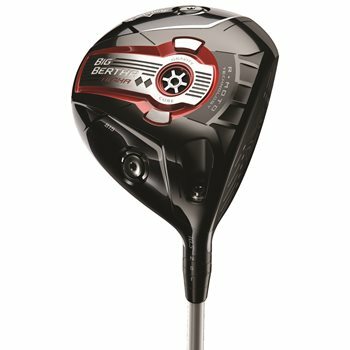 • More compact 460cc clubhead shape, with a deeper clubface.